do you Lammers agree with the new numbers Irving is giving ? and how do you explain the inflation in the number - is this the work of a reliable historian ? As I said, Irving's books have nothing to do with the Holocaust, so it doesn't affect his reputation as a historian writing books on other events. You appear to be one of those who desperately wants all of Irving books to be wrong. To justify this belief, you make it seem as if one thing has anything to do with the other, therefore Irving is 'bunk', and all of his books the same. The Holocaust figures spoken by Irving has nothing to do with any of his books. Do I have to repeat myself again? Lammers, when will you learn? You'll be repeating yourself until you're blue in the face and then some if what you hope to achieve is convincing these Holohoaxers like onelie of anything that isn't already welded into their tightly-knit, self-enforced belief system. For example, she provided a very long list of leading academic scholars, prominent political figures, and influential journalists who had championed Revisionist history, noted that their views disagree with the more mainstream perspective she had presumably imbibed from her History 101 textbooks, and thereby regarded them as fully debunked. Certainly a Christian preacher attempting to refute the evolutionary theories of Harvard’s E.O. Wilson by quoting a passage of Bible verse might take much the same approach. But few evangelical activists would be so foolish as to provide a very long list of eminent scientists who all took the same Darwinist position and then attempt to sweep them aside by citing a single verse from Genesis. Lipstadt seems to approach history much like a Bible-thumper, but a particularly dim-witted one. Moreover, many of the authors she attacked had already become familiar to me after a decade of my content-archiving work, and I had found their numerous books quite scholarly and persuasive. 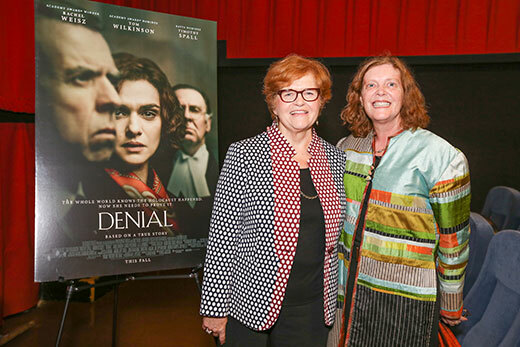 ...Lipstadt’s absolute horror at having someone actually dispute the tenets of her academic doctrine could not have been more blatant. Surely no zealous theologian of the European Dark Ages would have reacted any differently. ...A notorious incident that occurred soon after the Bolshevik Revolution came to my mind. Eminent philologist Timofei Florinsky, one of Russia’s most internationally renowned academic scholars, was hauled before a revolutionary tribunal for a public interrogation about his ideas, and one of the judges, a drunken Jewish former prostitute, found his answers so irritating that she drew her revolver and shot him dead right there and then. Given Lipstadt’s obvious emotional state, I have a strong suspicion that she might have wished she could deal in a similar fashion with Barnes and the numerous other scholars she denounced. Among other things, she noted with horror that more than two decades after his 1940 purge from public life, Barnes’ books were still required reading at both Harvard and Columbia.